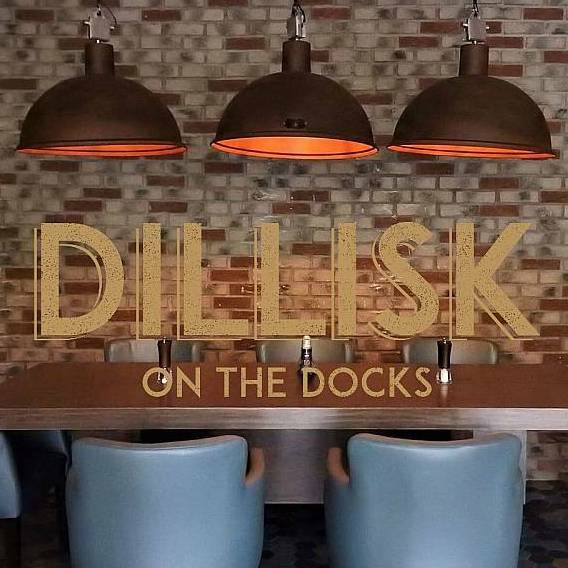 Dillisk on The Docks combines both modern-creative and traditional styles of cooking using only local producers. 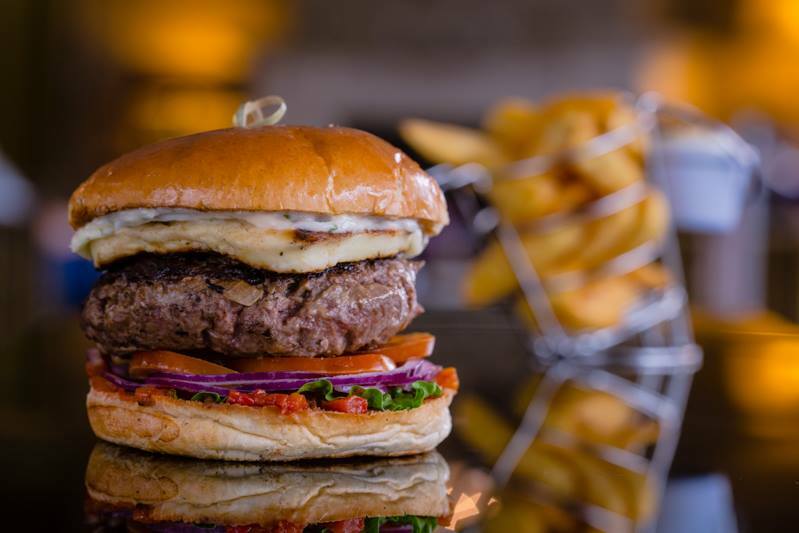 Our focus is authenticity, to sell local, delicious and remarkable food and drinks meeting the highest standards of quality, freshness and seasonality. We offer a whole new palette of flavours introducing the diner to seaweed, the unsung superfood of the sea among other locally sourced flavours. Fusing this hand harvested vegetable from the pristine Atlantic Waters off the Connemara coast with mouth-watering tastes from local suppliers and artisan ingredients. 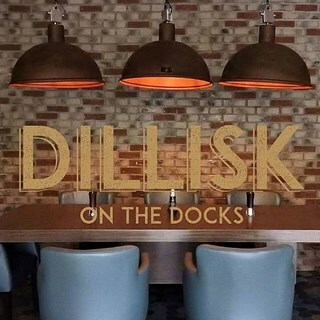 From the moment you enter the inviting surroundings at the newly re-designed bar and restaurant, the Dillisk experience begins. Earth-toned covered walls, dramatic lighting and the warm tans of the tufted leather banquettes are a gentle complement to the subdued red-shaded sconces, elegant gold draping’s and spirited red, yellow, and tan carpeting that surround Dillisk on the Docks. The relaxed atmosphere of the restaurant is also a place to sit back with Dillisk’s innovative cocktails and extensive wine list not forgetting their selection of gins, whiskey’s and spirits. The bar, with its stylishly rustic decor, comfortable furnishings, muted lighting, and blend of soft and vibrant colours is a sizeable sleek bar surrounded by conversation tables and pockets of inviting living room seating. Many of the team at Harbour Hotel are from the West of Ireland, others have been captivated by the charm of life in Galway City and have decided to call it home. All share a passion for the culture, spirit and beauty of Galway and enjoy sharing the best of their local knowledge with visitors to the area. This commonality instills a sense of community within the team at Harbour Hotel, they take great pleasure in working together to create a friendly, inviting atmosphere where guests feel comfortable and well taken care of. Had a really lovely lunch here for Mother's day. All of our party thoroughly enjoyed the food and the service. The foyer was abit cold with the table so near the door. Would have preferred some more simple sandwiches. Really cosy and welcoming atmosphere, perfect after a long journey. Firstly we were put at a low table in the hotel lobby. For an afternoon tea that wasn’t exactly cheap I was expecting a normal table with tablecloth, in a less public setting. The service-we saw our waitress once when we were seated and she brought us our tea/coffee. We had to go to reception to ask for another drink after which the waitress reappeared. Only one side plate was given meaning I had to butter my scone on the same plate and with the same knife that I had used for a Caesar wrap. The cakes were all very tasteless and bland. I also had to go looking for a waitress to pay for the tea. While you do not want them hovering, you would think when the customer is seated in another room the staff would walk through every 10-15 minutes so you can at least feel their presence. I was charged for chips I never received but didn’t realize at the time. Booked in for afternoon tea with prosecco for a hen party. Absolutely delicious, such a wide variety of sandwiches and desserts, great service, great value for money. We had a pregnant lady in our group and the staff were very accomodating with non alcoholic beverages and pregnancy friendly food. 10 out of 10! We booked in for afternoon tea a few days prior and again confirmed booking the day before. When we got to the hotel we were informed the kitchen had not been made aware of the booking so had nothing prepared. They offered us a complimentary drink (hence the extra star) and told us it would take approximately half an hour to prepare. However, the hotel was hosting a property auction in one of the function rooms at the same time, live coverage of which was being shown at loud volume on all of the TV screens in the restaurant. This killed any remaining thoughts of a relaxing afternoon tea in Galway. Having travelled for 2.5. hours from the east coast we had been looking forward to this but were forced to change our plans and go elsewhere. service was a little slow. we had afternoon tea and our coffee was served   a good 20 mins before the actual afternoon tea arrived which wasn't great. but I thought the hotel itself was lovely. the new decor is very inviting. Starter of Wings was delicious. Bread was georgeous. Main course was a disaster. Steak was not seasoned before cooking & was bland. Veg was horrible taste. Sorry but have to state it as is. Had such high hopes after the lovely starter & we were so disappointed. Nice staff.